This tea (available at Freedom Chinese Medicine) benefits the immune system, digestion, metabolism and increases energy levels. 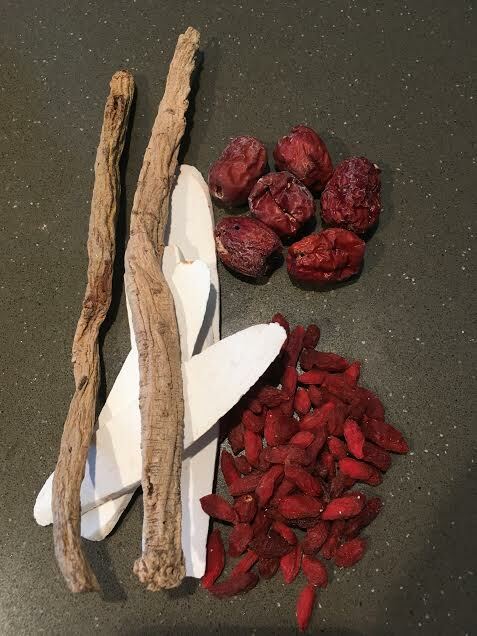 Dang Shen (Codonopsis) used in Chinese Medicine to boost Qi, improves metabolism, decreases fatigue, strengthens and regulates the digestive system. levels and assists the digestion and respiratory system. Hong Zao (Chinese Red Dates, Jujube) commonly used in Chinese cooking to add a subtle sweetness in savory dishes. These dates are used to tonify Qi, improve Blood quality, and calm the spirit. levels and harmonise the digestive system. Energy Boosting Tea packets & recipe available in store at Freedom Chinese Medicine.